GJD, the award winning manufacturer and designer of smart electronic perimeter detection and high performance LED illumination equipment, is pleased to announce and welcome Gary Williams as GJD’s new Technical Support Adviser. Gary is responsible for offering support of a technical nature to installers with queries regarding products. Other tasks include creating and updating manuals, as well as other useful installation documents, responding to call-outs and configuring new firmware. Gary has worked in the security industry for over 22 years and has extensive experience in the design, installation and maintenance of GJD security equipment. Gary brings with him a wealth of knowledge as he has worked in a variety of technical leadership roles for NSI, Bafe and SSAIB accredited security installation companies. Before starting at GJD, Gary carried out an internal technical sales role at ADI Global. This role included training ADI internal sales teams across Europe and South Africa. Ana Maria Sagra-Smith, GJD’s Sales and Marketing Director commented: “I am delighted to welcome Gary to GJD. 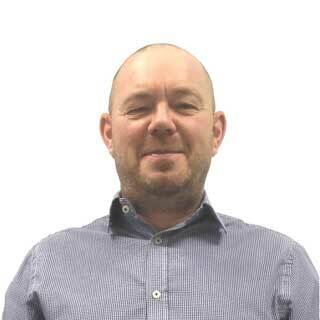 The addition of Gary to the Technical department will enhance GJD’s ability to provide high quality customer service and has already had a significant impact on service levels”. GJD has over 35 years’ experience in protecting and securing people, properties and assets. In 2017 GJD was awarded with the Queen’s Award for Enterprise for International Trade, which is the UK’s highest accolade for international business success. GJD's security solutions rapidly identify genuine alerts, reduce false alarms and optimise the callout of responders, making its product range a truly valuable asset to both people and properties in all industry sectors across the world.